Sophomore Younes Dayekh scored two goals against Omaha on Tuesday at Shea Stadium. Photo via Scout Archives. The Bradley soccer team was denied their first conference win yet again on Oct. 13 at Shea Stadium as the Braves fell 0-2 to Valparaiso. The loss moves the team to an 0-4 record in MVC play. The Braves could not initiate any offense, putting only two of their 10 shots on goal as they were unable to find the back of the net for the third consecutive game. Valparaiso captured the lead in the 16th minute on a goal by Lucca Lacerda. Lacerda scored again right out of the half in the 46th minute with an impressive 35-yard strike. 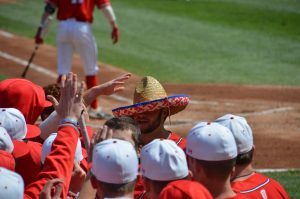 The Braves bounced back from the conference loss with a 3-1 non-conference victory over Omaha on Tuesday night. The victory brings the Braves non-conference unbeaten streak to 12 games and moves their record to 6-4-3. The three-goal performance sets a new season high for the Braves. 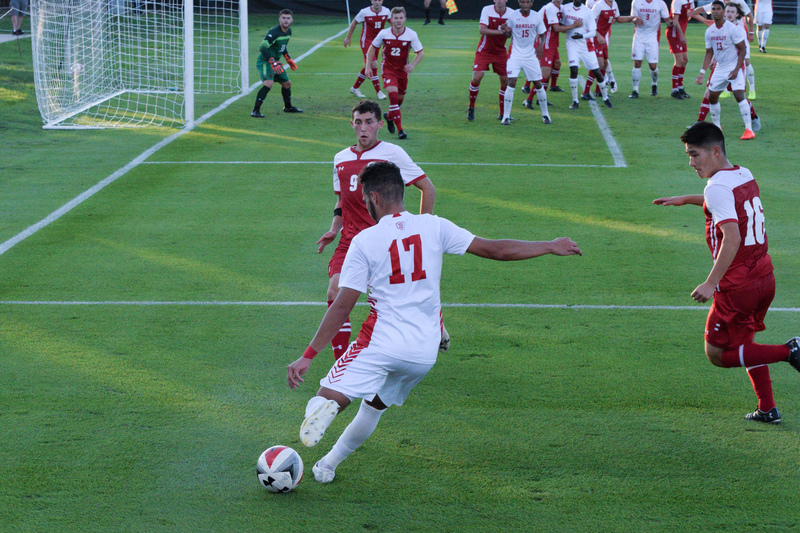 Bradley took the lead after an Omaha own goal late in the first half and sophomore Younes Dayekh added to it in the opening minute of the second half with an incredible shot into the upper left corner of the goal. Omaha responded quickly with a goal of their own in the 51st minute. The match remained a one score game until the 76th minute, when Reinwart made a key save on a Mavericks penalty kick, which led to Dayekh finding the back of the net again just 30 seconds later. 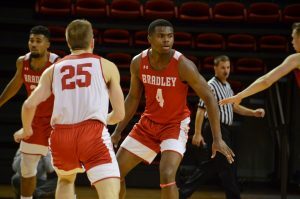 Bradley will look to capture their first conference win tomorrow at Drake. 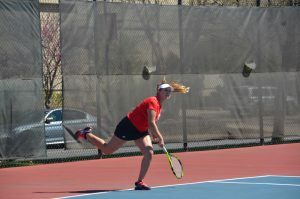 Currently, the Braves sit in seventh place in the MVC standings and need to be in at least sixth by the end of the regular season to secure a spot in the MVC playoff bracket.